Reading is essential, indispensable and crucial. It bears immense impact on your child’s emotional and intellectual development. Parents also have a huge role on how swiftly their child learns to read. It’s their foremost duty to encourage their child to read. Sudhir Memorial Institute Liluah, being considered as one of the best CBSE affiliated schools in Howrah advises parents to take measurable steps to upgrade their child’s reading. A timetable for everything: It is advised to set a regular time to read to your children. Studies have shown that well organized reading out loud to your children will yield noteworthy gains in reading comprehension, vocabulary, and the deciphering of words. It will increase their inclination towards reading. Educate yourself with your child’s progress- Involve yourself with your child’s reading habit. Check their regular progress. Ask them about their reading experience. Induce a library habit- Parents are asked to induce a habit of visiting library, in their child. Library increases the passion for reading. 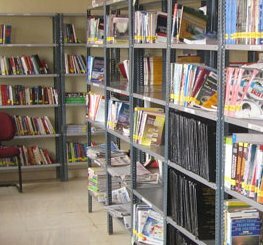 Sudhir Memorial Institute Liluah, a top CBSC school in Howrah, has a library containing more than 5000 books and about 4000 books are added every year. Look for reading issues- Teachers may not address your child’s reading problem individually. Parents need to come forward in this matter. They must comprehend any issue that their child may face while reading. Create a habit of looking into dictionaries if there is any problem regarding vocabulary. Show keenness for your child’s reading- As a parent your reaction towards your child’s reading habit is towering. Never show a negative attitude towards them. If you show eagerness towards their reading habit, they will be more encouraged to read, which is important. Your child’s mental stability is way more important than their grades. Reading good books, newspaper will not only keep them from being pressurized to achieve good grades but will also allow them to visualize the world with their thoughts and ideas. Time management is essential for academic success. Once you have mastered the skill of time management you will be able to get most out of your life. It will leave you with ample time to pursue something else. .Authorities at Sudhir Memorial Institute Liluah, one of the best English medium school in Howrah, consider that a proper plan is required to manage both studies and extracurricular activities, so that a child’s dream doesn’t get crushed under the pressure to excel only in studies. Here are 7 effective tips on how to manage regular study time so that a balance is maintained. Make a list– The most basic thing to improve time management is to list everything that requires your immediate attention. This may sound clichéd, but it is absolutely true. So budget your time accordingly. Prepare a routine– After the list is made, create a timetable so that each of your passion, be it study or games gets proper attention. Flexibility is key- You cannot plan for everything. Unanticipated events may pop up, so plan accordingly. Try to get back on track soon and follow your schedule. Avoid distraction– Do not engage in any kind of activity that can create distraction. But this also depends on what you consider to be an element of distraction. Never procrastinate– Procrastination messes up everything you have worked for. So try not to delay your task, finish it on proper time before taking up another. Be healthy– Do not ignore your health. Studying only will not improve your grade. You also need to have a healthy body along with a healthy mind. So eat healthy and stay healthy. 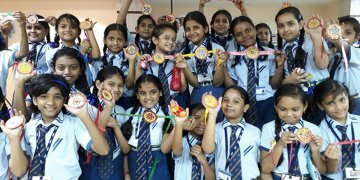 English Medium school in Howrah -SMIL, believes in the notion of proper time management. It devotes equal time towards study and co-curricular activities. The students of Sudhir Memorial Institute Liluah do not devoid themselves from their dreams, because the school maintains a proper balance to effectively manage regular study time. The future of the world lies in the classroom. One remembers what one learns in school. The school plays a vital role in shaping a child’s future, very much like the artisan who moulds the mud when it is soft to give it a form of a vessel. Education that is child centric is most effective. Sudhir Memorial Institute, Liluah in Howrah stands high keeping the ideals of modern education in mind. The school is affiliated to the Central Board of Secondary Education (CBSE) one of the most advanced curriculum in the country and across the world. SIML encompasses complete education, laying equal emphasis on co-scholastic and co-curricular activities to cater to a child’s holistic development. 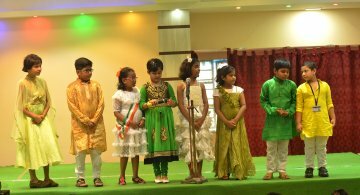 The Sudhir Memorial Institute, Liluah is one of the best English medium schools in Howrah. The school was established with the ambition to spread education keeping minimum monetary gains in mind. Hence education here, is most affordable to the general class of the citizens of Kolkata. The CBSE curriculum has a strong footing all over India, that makes our students more comprehensive and competitive. The Sudhir Memorial Institute, Liluah makes its students future ready. Our curriculum is in sync with the CBSE guidelines, that provides the best quality education in the field of SCIENCE and COMMERCE at all levels. By following the CBSE curriculum we ensure, our students learn what is relevant to keep them at par with future professional courses. SIML prepares scholars in Commerce and Science streams and prepares them for entrance examinations, including the medical and engineering professional exams. Sudhir Memorial Institute, Liluah is extremely focused on science and maths with a lot of attention paid to the application of knowledge. Life skills that consists of thinking skills, social skills and emotional skills. Attitudes and Values: attitude towards teachers, schoolmates, school programs and environment. Value system refers to the frame work which must be developed right through primary to secondary levels. Decoration, Art & craft, Organizing school panchayat, Student self-government. These activities develop physical, emotional, social, and they help to grow a healthy appreciation of culture and arts among the pupils. A student out of Sudhir Memorial Institute, Liluah is an all-rounder, competitive and ready to face the challenges of the outside world. Education is not the preparation for life; rather it is the life itself. School is the most important phase of life. For the tree to be strong, the roots are required to be nourished and made strong. Every child has got unique talent and creativity gifted by God, which is required to be discovered. This is possible with the correct guidance and lessons of life. A good school is all about good teaching faculty, friendly environment, teaching structure, and discipline lessons. The teachers of a school play a crucial role in shaping the child’s future and are largely responsible for what the child becomes in future. When searching for a best school in Howrah, firstly, one needs to decide on the curriculum i.e. ICSE, CBSE or the State Board. CBSE is one of the most diversified curriculums, recognized in India and abroad, which practices imbibing academic excellence along with co-curricular activities. When this is sorted, then is the important task to decide on the best school in terms of faculty members, academic environment, facilities provided, co-curricular specifications, infrastructure, teaching technique followed, etc. The role of a school is not merely restricted to imparting education, giving academic excellence; it extends to molding child’s personality and thereby imparting quality education. Innovative teaching techniques should be practiced in schools to ensure that one is at par with recent upgrades in different fields of work. A blend of co-curricular and co-scholastic activities is relevant for a holistic development of a child. Schools are required to have a friendly and caring canopy mixed with adequate discipline and strictness. With a robotic teaching technique, the student’s imaginative power can get hampered. So, it is of utmost importance that no school follows any stereo-typed teaching structure and should motivate students to diversify their imagination giving multi-dimensional thinking. To get the best school in Howrah the above characteristics should be searched. Students should be imbibed in them good values like respecting people, kindness, understanding emotions, perseverance, manners and etiquettes. Students should be taught their responsibility as a social being and their responsibility to the society. It is the education imparted in the early ages of a child that shapes the personality. Creativity and imagination cannot be externally fed but the environment in which a child is nourished can play a vital role in strengthening these powers. The main motto of a school should be producing creative minds with beautiful hearts and worthy citizens of the country. If you are in search of an ideal mold to shape your child’s future, here we are at best school in Howrah, imparting quality education and following CBSE curriculum. Wishing to provide the best for their child, parents are often in dilemma of selecting the right board of education for their little ones. Right board selection is very significant for the overall development of the kids and thus parents do not want to take any chances in the same. Large numbers of boards are available in the Indian education system that varies from one another in certain aspects of rules and procedure, they follow. The syllabus and pattern of the study also make the boards different from one another. The education system is being divided into three levels – primary, secondary and senior secondary, all adding up certain values in building up the student career. But you need to choose the correct board that can help your child to grow up to be a good successful human in the mere future. CBSE, the short form of Central Board of Secondary Education, is the education board of India for both public and private schools, under the Union Government of India. This board of education offers their student with an all-round development, both academic and co-curriculum activities. Best School in Howrah is offering both academics and co-curriculum activities under the CBSE board. May be that you want your kid to study or know India’s mother tongue more wisely, and then CBSE is the right choice for your kid. English and Hindi both the languages are being approved by CBSE board and thus deliver wide knowledge on the same. The Indian government had given recognition to the CBSE board. Even the certificates provided by this board, is globally acclaimed. CBSE syllabus is designed for qualifying various entrance exams like the engineering and the medical exams. Though CBSE board is much easier it is suitable for those students who want to focus on mathematics and science streams in their future studies. Many schools in India have CBSE board where both regular and private candidates are getting their lessons. The private candidates can be from the non-affiliated schools but CBSE allows them to give exam through their board. With the advancement of technology, CBSE has also made all its school go with technologies and thus implementing the same for their students. The smart class can be counted one example of the same. If you have planned to give your baby the best education, then CBSE can be the best possible option for you. The best school in Howrah provides the best facilities and also follows all the criteria of CBSE boards. Do you recently get shifted to Howrah? Are you now days living in Howrah? Shifting from one place to another is tedious as you have to arrange each and every thing in place in Howrah. 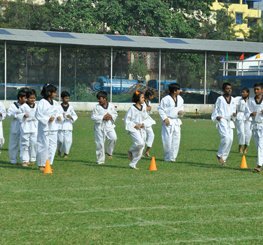 And if you are having kids then you do have to search for the best school in Howrah for your little ones. We, parents often search the best fit for their kids that not only focuses on the academic development of the student but looks after the overall development of the little ones. Search from the pool in Howrah is not that easy task as some had some qualities whereas some do lack many. There are so many schools in Howrah, but finding the best school for your children is a tough one. Every school claims that they are the best school and they have good infrastructure and provide all types of facilities to the students. Searching on the Google, a number of links can be found that contains lists of schools in Howrah. Here are few links which consist the list of schools in Howrah. Who can be better than the former pass-outs or the existence parents/students to provide you with a feedback? The former pass-outs/ existing student can be the best source from where you can have detail knowledge about the school. They can provide you with information such as the infrastructure, teaching of the teachers, the facilities given and much more. Either you can look in your locality for such students or after choosing the schools (where you like to put your kid) you can go there (stand outside) and have a chat with the parents (who came to take their kids). The main motive of school is to provide the education to the students so that they can get prepared for the future challenges of life. So, as responsible parents, we cannot miss that part too. You can have a talk with the teachers to look after the facilities provided by the school for the better understanding of the subject matter. Even the former pass-outs can provide you information on that. Before choosing any school for your little ones, you need to go around on the infrastructure provided by the school to the kids. The infrastructure must consist of features like the ground play, fully covered play area, interactive boards, computer laboratory, library, laboratory, medical counseling and other amenities. Co-scholastic activities are important in terms of the personality development of the students. As per the board instruction, it is been said that school must have one period per week for work education, art education, co-curricular activities, health and physical education. Transportation seems to be the major problem for the parents. Schools must have their own transportation facility that picks up and drops the kids at their location safely. Today we are going towards digitalization and sitting in such a period how can you skip taking help from Google. Search on the web and you can get the list of the best school in Howrah. Rather it makes your searching easy. At last, as the parents, it’s our responsibility to go to the school to know that whether the environment of the school is suitable for your baby or not. You can’t justify a school from out. It is needed to go in to know more about the school and its infrastructure. Sudhir Memorial Institute Liluah is one of the best schools in Howrah that stands as per your expectation. Located in Howrah, they are following the CBSE syllabus and meet all of the above criteria. The school has some of the best-qualified teachers who try hard and sole to provide all the required knowledge to the young ones. Apart from the academic development of the student, the school also focuses on the co-curricular activities of the students. What will make you a good teacher? There are no hard and fast rules that can guide you in being a good teacher in the school. Actually to be very frank the concept of the good teacher is not clear. Whom will you call a perfect teacher? The definition of the perfect teacher is not that easy to define. The teacher takes the active part of the parent in the school. He/she acts as the guru (as referred in the historic period) who guides us to be a better person in life, delivers knowledge and thus teaches how to behave in certain situations in the mere future. Being a teacher, you need to focus on the little ones, their needs in the school, highlighting their abilities and thus driving the negativities in a positive way. It is hard to state that what will make you the perfect teacher as a large part depends on how much you understand the little ones and how do you tackle them. Teachers of Sudhir Memorial Institute Liluah, a CBSE school in Howrah, focuses much on bringing out a good human from the little ones than just making only good results on the board. Though in the same attempt the students over here are making exceptional results in the boards and thus achieving their goals in the future. Try to maintain a calm and natural voice. It is noted in some of the cases that teachers often try to maintain a strict voice in the classroom. The reason to justify the activity is that they think that the students will get afraid of them and will behave properly in the classroom. That’s totally not true. You are just drifting your listeners apart from yourself. They will dare to speak to you in any difficulty faced with the text. Only speak once all the students are listening to you. This may seem to be quite difficult but you can surely do it. Hold on your temptation and wait to see that the students will make their friends stop talking in order to hear what you are trying to say. Make your lesson interesting. No one likes to listen to a boring lecture, including me guys. Your students will start speaking only when they find out that what you are teaching is boring. Make your boring lesson interesting by adding some facts or interesting stories into it. You can also ask questions in between the lesson so that students do not drive with their thoughts. Everyday learning is boring. So include some activities in your classroom. Skip your lesson one day and indulge your kids in some activities that may relate to the text you are teaching or any other affairs. Praise your students. Is there anyone who does not like to be praised? I don’t think so. The same happens with the little ones. They do also like to be praised. ‘Well done’ or ‘good’ may seem to be a very small word but enhances the confidence level in the students. It is hard to define how to be a good teacher or how to manage the students in the classroom. With time there are lot to be learnt in tackling the kids. In the best school in Howrah, each and every effort are being made to engage the students more to their classroom lessons and the external activities. Children are very much acquainted with their homes. The basic challenges are faced when they face the outer world and achieving their living or getting into a successful person in life is the greatest challenge that they had to face. Parents are always there to help their children but in certain stages, the children had to handle their own issues. Schools are considered to be the second home for the little ones as they spend long hours over there. In no way, the need for good schooling can be mended and that does can be the reason why parents go on choosing the best school for their kids. Schooling serves various needs that a student needs in building up their personality and career. The primary responsibility of the schools is to improve the students in their academic part but its role does not get limited to that only. With the modern infrastructure and facilities that each school had today, are capable of directing the students towards a better future by enhancing their ability. Increasing knowledge – School gives complete knowledge to the student. With the help of the text books, the school helps in delivering knowledge of the past and the present. Starting from ABC, the school also supports the students in enhancing their ability to identify the problem and thus solving them out. Competitive aspects – There are a number of challenges in the outer world and to persist in future, the student needs to be competitive. School prepares the students on that. Not only through the academic skill test but also through various tests such as quiz, competition on school levels etc., the competitive skill of the students are been enhanced. This helps the students to face the challenges they are likely to face in the mere future. School in Howrah are making their best effort in preparing the competitive stages for their students. Social responsibility – We are human and do possess some responsibility towards the society on which we live. Through different activities, it makes the student understand their social responsibilities. School helps in broadening the parameters of knowledge for the student. This will also help the student to be a good human being in the future. Maintaining the routine – It is said that time and tide wait for none. So, maintaining a routine or timing is very important. Schools help by teaching about maintaining the routine. Some may find it boring to get early in the morning but to be very frank this routine helps in going around with the time thus achieving each and every possibility of life. 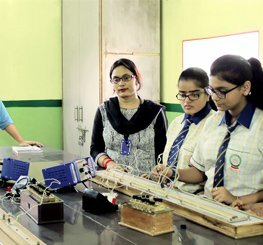 Sudhir Memorial Institute Liluah, one of the best CBSE school in Howrah, are making their all possible efforts in educating their students so that they achieve their goal in the future. Apart from that, the school also focuses on preparing the students for the future needs. It thus helps them in becoming a good human being. In the previous time, they had proven themselves and likely to perform more in the mere future.